IF YOU’VE never been to a dance performance at Sadler’s Wells (the home of British dance) in London, there’s a special show called ‘Sampled’ which introduces you to the world of dance – and is something of a celebration too. On Friday (February 8) and Saturday evening, a range of dancers and dance styles will perform short pieces as part of ‘Sampled’. Tickets are cheaper than normal – with some just £5 (proms style standing) and there is a 1pm matinee performance on Friday, for schools. 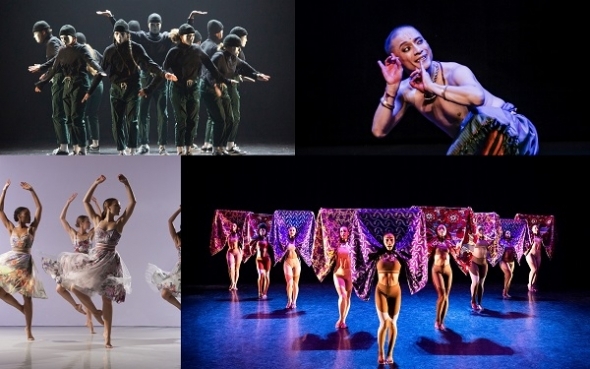 Among those you can see are Mavin Khoo, Richard Alston Dance Company, Uchenna Dance, BirdGang, Patricia Guerrero and Semperoper Ballet and Rambert2 – made up of young dancers with a big future ahead of them. 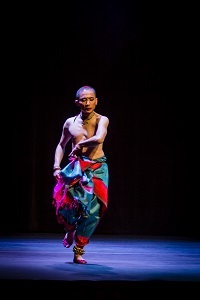 Khoo is also doing something quite different for ‘Sampled’ – he will be presenting a classical Odissi piece and it forms part of a longer work that is being committed to film called, ‘Man to Monk: Part I’. Odissi is a different style of dance that originated in Eastern India and is distinct from the form Khoo himself has practised extensively around the globe and for which he is best known – Bharatanatyam – which is an Indian classical dance style from Southern India. Indeed, the other popular classical Indian dance style in the UK is Kathak and is associated strongly with Khoo’s friend and close working colleague, Akram Khan. This form of Indian dance is from North India and in some ways, Odissi sits between Kathak and Bharatanatyam – not just geographically by stylistically too. Khoo will be performing to live music – something he feels strongly about. Many Indian dance performances up and down the UK are to recorded music, and having musicians accompany is not common practice. Khoo has chosen a classical piece – despite being well known for his innovation and expansiveness. He feels followers of his work recognise him as an innovator, and someone not hidebound to tradition and classical forms for the sake of them – but everyone is in for a bit of a surprise with his Odissi for ‘Sampled’. “I don’t necessarily tick all those kinds of code that say you are ‘Indian’ – and that’s why I think can really afford to invest in something that is authentically traditional,” teased Khoo who has Malaysian heritage. The other performers all represent different facets of dance as they are (re)presented at Sadler’s Wells. 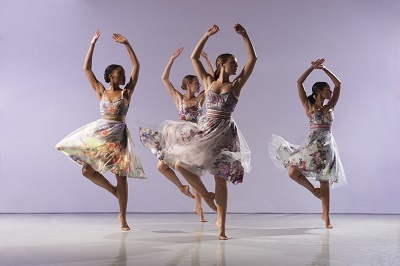 Richard Alston Dance Company is one of the country’s best known contemporary outfits with an international reputation. Founder Alston, now 70, was awarded a knighthood this year for his services to dance. Uchenna Dance are one of Britain’s most pioneering dance outfits, mixing African idioms with contemporary and nightclub styles. BirdGang specialise in hip hop dance theatre and their works often have a distinct political and social context. Patricia Guerrero is a rising star of the flamenco world, while Semperoper Ballet from Dresden in Germany, present a blend rooted in classical ballet but connected to a wider world in a way that has brought international acclaim and attention. This isn’t like a normal dance performance, more is on offer outside the theatre in the foyer area – arrive early and sample the front of house activities – from DJs playing music to short dance films and posters and quotations hung on around the box office area and first floor; and there is a feedback wall too to express your own thoughts about dance as a creative form. 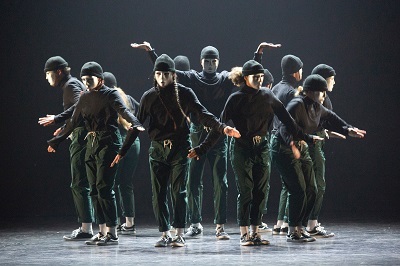 On each evening there are also different dance performances outside the main theatre (reminiscent of Sadlers’ hip hop festival, Breakin Convention), check here https://www.sadlerswells.com/whats-on/2019/sadlers-wells-sampled/extras/front-of-house-activities/ for what is going on exactly. Friday, February 8 and Saturday, February 9 (7.30pm) – Sampled, Sadler’s Wells, Rosebery Avenue, London EC1R 4TN.